For the first part of our Martin kit build last month, I created a body former for the sides of my 000 and started gluing the heel and tail blocks in place, and now it’s time to get things looking a bit more guitar-like. Now, one thing I’ve learned the hard way in my time building and repairing instruments is the absolute necessity of keeping things square and centred. 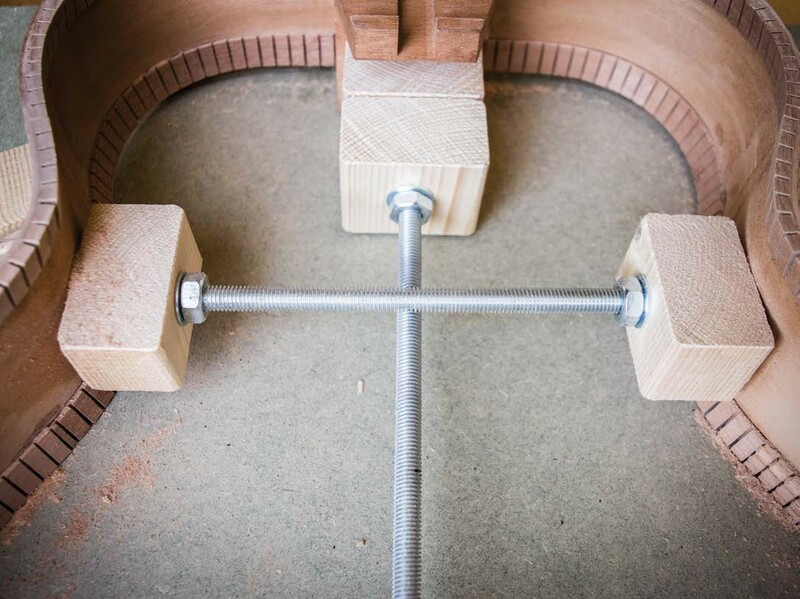 This is especially true of the heel block, and if you allow it to become tilted or twisted, setting the neck angle and even ending up with a playable guitar will be that much harder. Even when the rims are lined up nicely in the mould I created, there’s nothing to prevent them from getting out of shape from pressure when gluing the top and the back. 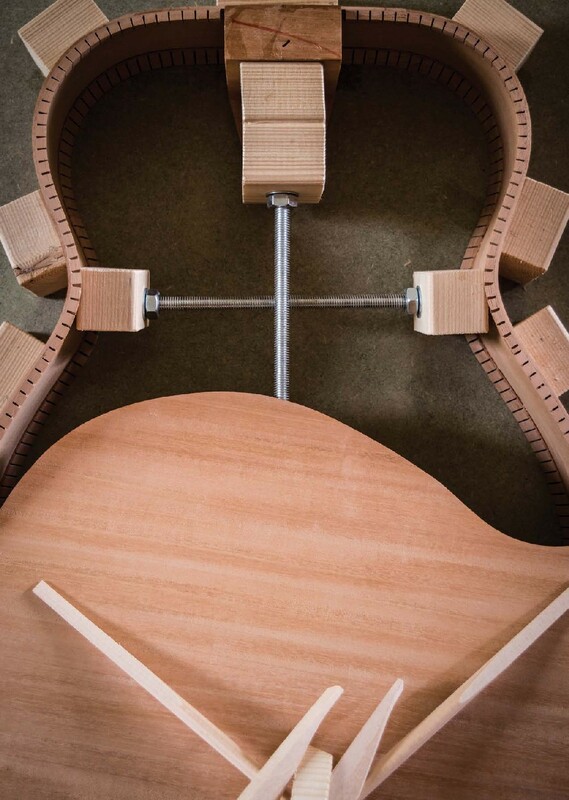 Most professional acoustic builders use two spreaders to hold everything in position while the body assembly takes place. One is used lengthways between the heel and tail blocks, and the second goes side to side between the innermost curves of the waist. The December 2017 issue of The Guitar Magazine is on sale now! 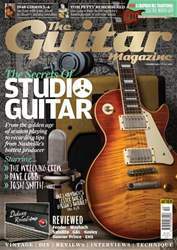 Inside, you’ll find a massive 24-page feature devoted to The Secrets Of Studio Guitar. Following exclusive insights into the golden era of session guitar from Wrecking Crew luminary Carol Kaye and Tommy Tedesco’s son Denny, we move into the modern age (albeit via a raft of vintage tube amps) with recording tips courtesy of Grammy-winning producer Dave Cobb, first-call LA guitarist Josh Smith’s guide to the perfect session and a tale of how digital modelling can be the answer to your sonic prayers. Elsewhere in the mag, we pay tribute to Tom Petty, review a raft of hot new gear from the likes of Fender, Maybach, Satellite Amps, G&L and Keeley and show you how to build your own acoustic guitar in the latest instalment of DIY Workshop. For all that and a FREE 2018 calendar packed full of beautifully photographed vintage and star guitars, pick up your copy of the December issue of The Guitar Magazine now!